To all my readers, especially in Belize. This is an event that is going to be very interesting. Mark your calendar for March 30th at 5:30 p.m at the Bliss. If you are interested, please see the link below. at 5:30P.M. 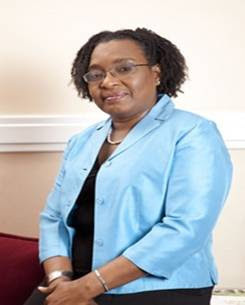 at the Bliss featuring one of the Caribbean's Transformational Leaders Dr. Rhoda Reddock, Deputy Principal of the University of the West Indies, St. Augustine Campus, Trinidad. This author, researcher, gender specialist, professor and activist will speak on the theme: Gender and Achievement in Higher Education (Examines the issue of male & female educational performance) The event is free...free. Also, The U.S Embassy Belize had a beautiful celebration with their 2nd Annual Belize Woman of the Year Award. The prestigious award was won by Beverly Small. The entire Month in Belize is celebrated as Women's Month! Linda I will be attending this event. My aunt and I have a date. I am looking forward to it. Hi Linda: You are doing a good job keeping us updated on the little things that matter.